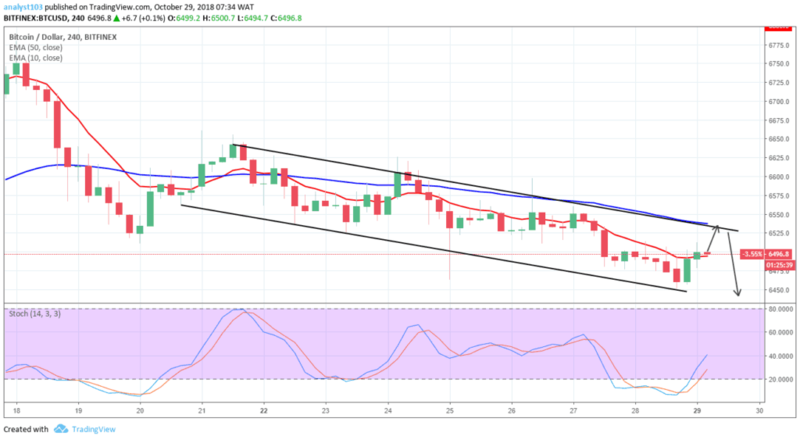 BTC is in a bearish trend as denoted by the descending channel. 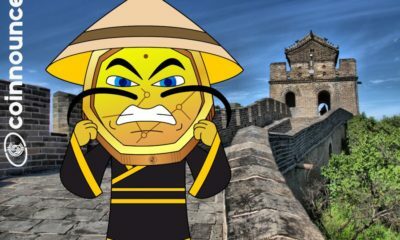 The bears continued push of the cryptocurrency to lower lows that are characteristics of a down trending market is an indication of strong bearish pressure. After making a touch at $6597.40 at the upper line of the channel on 26th October, BTCUSD was down to the lower line of the channel due to the bears’ pressure. $6451.00 at the support area was attained before the end of the session on 28th October as the bears briefly lost momentum. The bulls returned at the support area which was also the lower line of the channel was much expected. 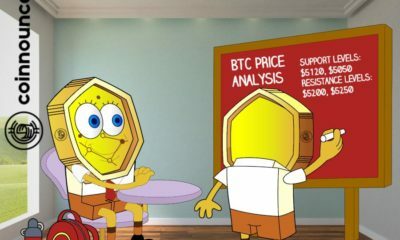 The cryptocurrency rose to $6502.00 before the end of yesterday session. The 4-hour opening candle at $6490.20 was bullish and it sustained the bullish momentum of yesterday with BTCUSD up at $6512.00 in the resistance area earlier today. Price is above the 10-EMA and the stochastic oscillator is at 39% but its signal points up. 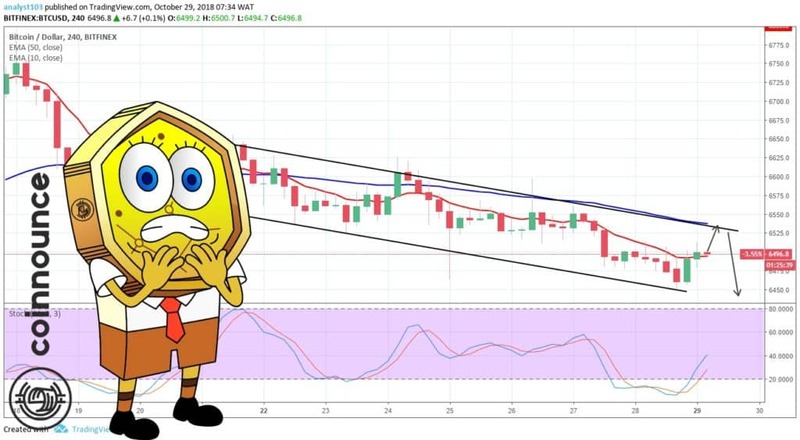 This suggests a possibility of an upward movement in the cryptocurrency price which may take BTC to the upper line of the channel before likely strong bears return that will result in a new lower low before the end of the day.